If you’re considering exporting or importing from/to the UK with a country that has a trade agreement with the EU, you need to know about the EUR1. The EUR1 is a movement certificate (a certificate of origin) that you need to claim a preferential rate of duty (usually zero) when moving goods between the EU and the countries on the agreement list. 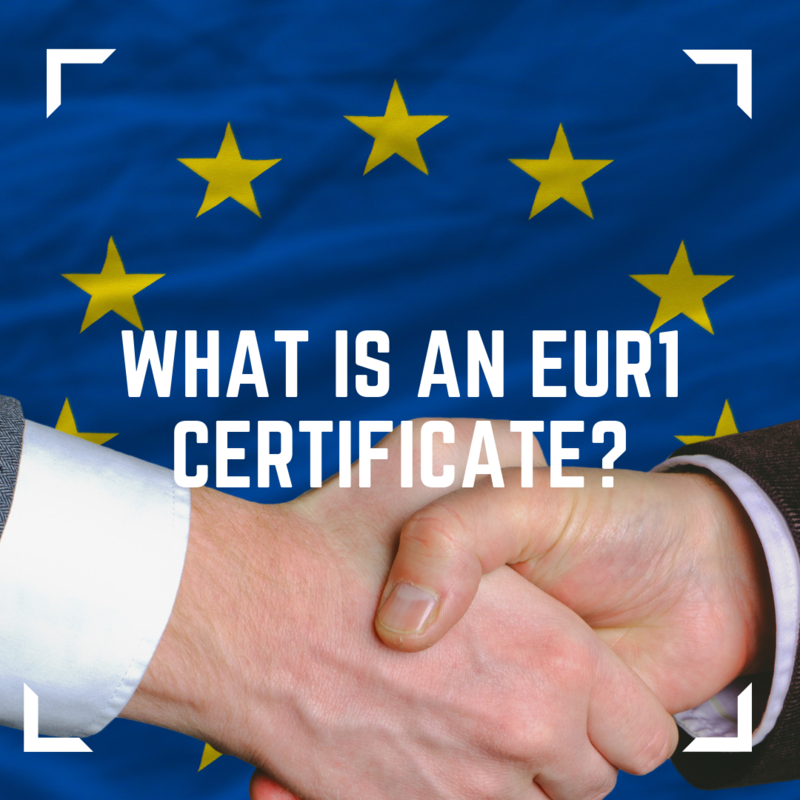 Why do I need an EUR1 Certificate? The EUR1 forms part of the required customs documentation. 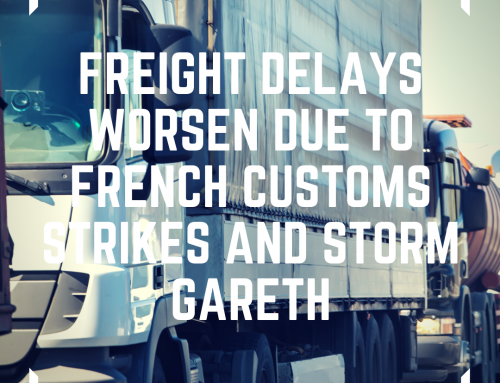 It must be presented to the customs office at the receiving country to benefit from a reduced rate of duty. 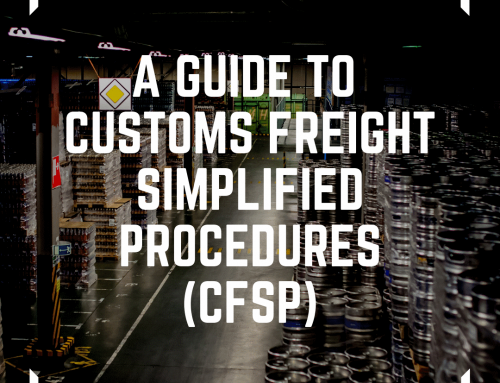 Failure to produce will result in a bill for the normal customs tariff. What sort of goods are covered? To qualify the goods have to originate in the UK or the EU or have been manufactured in a country with a trade agreement with the EU. You may be required to provide proof of this such as documentation relating to the manufacturing of the goods and the origin of materials. Which countries have a trade agreement with the EU? The countries with a current trade agreement with the EU include Albania, Algeria, Bosnia/Herzegovina, Ceuta and Melilla, Chile, Columbia, Egypt, Faroe Islands, Honduras, Iceland, Israel, Jordan, Lebanon, Liechtenstein, Macedonia, Mexico, Montenegro, Morocco, Nicaragua, Norway, Panama, Peru, Serbia, South Africa, Switzerland, Syria, Tunisia, Turkey, Ukraine, West Bank/Gaza Strip. How do I get an EUR1 Certificate? You can obtain an EUR1 certificate from HMRC or the Chamber of Commerce. 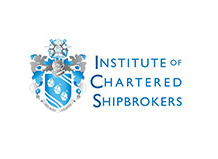 This must then be authenticated by the HMRC Central Processing Unit in Salford, your local Chamber of Commerce, or the Chartered Institute of Shipbrokers. In some cases, an online application service will be offered. For imports your supplier should obtain the EUR1 from the country’s customs authority. You’ll need to present supporting documents with your EUR1 application. These include a commercial invoice and evidence of the information given on the form – a packing list or shipping document, for example. This depends on the method of application. Applications made in person can often be dealt with while you wait. 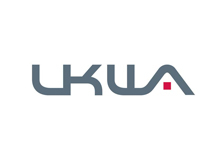 Online applications can take up to a few days to process, while postal applications are reliant on the speed of the Royal Mail and the workload of the person dealing with the application. Yes, there’s an issue fee for the EUR1 – although some Chambers offer a 50% discount for members. 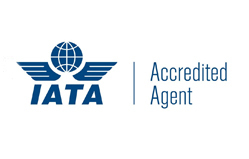 If you’re having your shipping agent or freight forwarder deal with the application on your behalf you may be charged extra for this service, so always check what’s included when comparing quotes. At John Good Shipping, we’ll happily ensure that all of the required customs documentation is completed as part of our freight forwarding service – saving you time, hassle and stress. Yes, it’s best practice to keep all customs documentation for at least three years. You can find more information on import and export preferences, including a sample EUR1 form, at gov.uk.